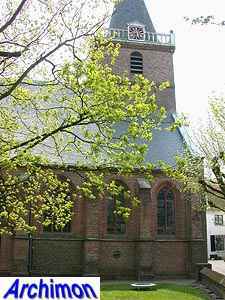 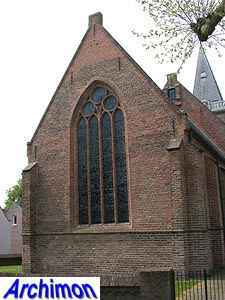 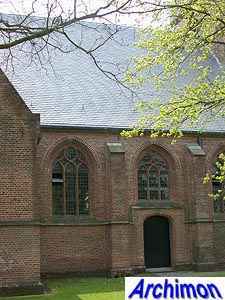 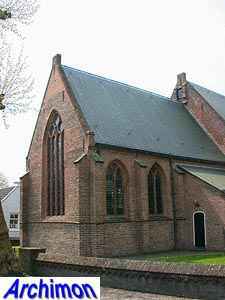 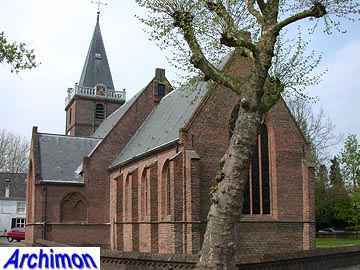 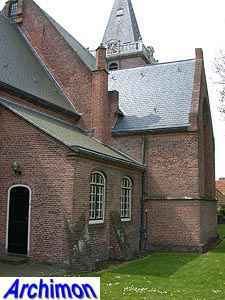 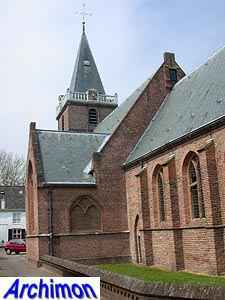 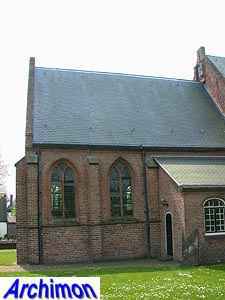 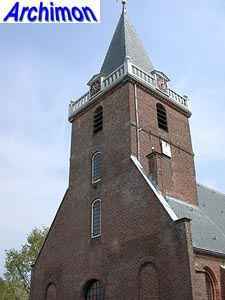 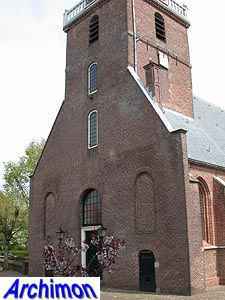 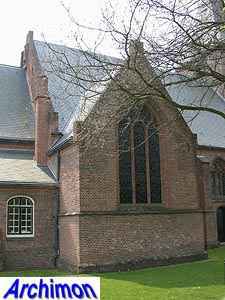 The reformed church of Vreeland, in catholic times named St. Nicolaas, nowadays also called Grote Kerk ("great church"), was probably founded in the 13th century and possibly served as the chapel of the nearby castle. 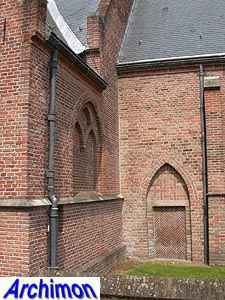 Although possibly built in that same century, the tower was covered by a coat of contemporary bricks in ca. 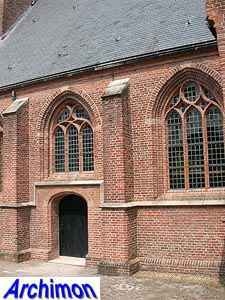 1700, hiding its true, Romanesque nature. 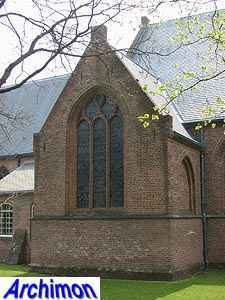 Otherwise, the church is Gothic. 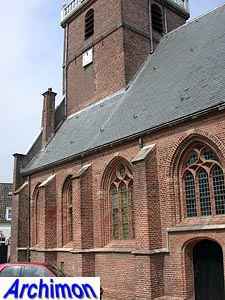 The straight choir probably dates from the 13th or 14th century and may orginally have been in Romanesque style. 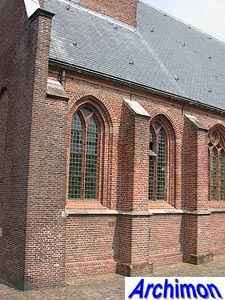 The one-aisled nave is slightly taller and wider and was built in the 15th century. 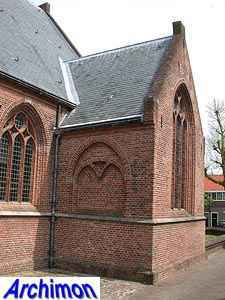 It has a small transept-like chapel on either side, the one on the south side being decorated with blind niches with traceries. 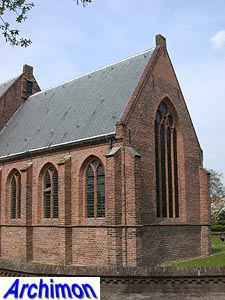 The church was restored in 1967-1971. 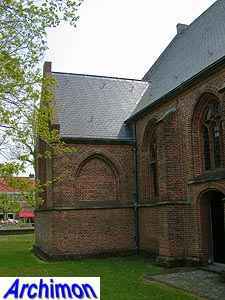 Several changes from the 18th century were made undone; a flat ceiling was replaced by a wooden barrel vault, while brick traceries replaced the wooden windows.